The Ireland senior rugby squad will visit Athlone in mid February and will hold an open training session at Dubarry Park on Thursday, February 15. A huge crowd is expected to attend and admission will be restricted to ticket holders only. Tickets, which are free, will shortly be available on www.tickemaster.ie and can only be obtained through this website. 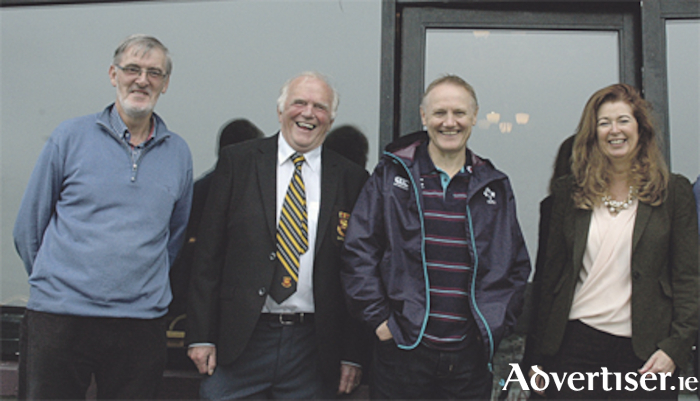 Ireland head coach, Joe Schmidt, and team manager Paul Dean led an IRFU delegation to the club last autumn. They were delighted with the quality of the facilities that the Athlone club can offer and were glad to confirm the Ireland team’s return to the midlands venue. Much interest will focus on players such as Athlone’s Robbie Henshaw, Johnny Sexton, Peter O’Mahony, Tadhg Furlong, Conor Murray, Joey Carberry and Sean O’Brien, while Jordan Larmour and James Ryan’s immense potential should also attract an audience. The highlight of this occasion is likely to be the training session kicking off at 11am, when Ireland U20s will provide opposition for the senior side. This will be followed by pitchside signing of autographs by the players for the thousands of fans expected at the event. The senior management team and a number of players will also undertake media interviews at this time. For those intending to attend, the key messages are to get your tickets as soon as they come available on Ticketmaster, and then get to the stadium in good time on the day. Page generated in 0.0977 seconds.